It’s fair to expect that the new musical drama Netflix series from creator Baz Luhrmann would be an event. This flashy series chronicles the rise of hip-hop in the 1970s in a very volatile New York City, and it definitely feels like an epic. It reminded me at first of “A Most Violent Year,” a seemingly simple and personal story about people living in the city with foreboding drama surrounding them underscored by intense music. There are moments that this show encounters, aware of the vastness of the story that it is telling, particularly when the gangs arrive or a given member of its cast realizes their musical potential. Ezekiel was a magnetic protagonist from his first moment on screen, later reciting a superb poem about the black community and what’s going on and then busting into success when he reclaimed the microphone after a failed first attempt. Shaolin Fantastic is a visually astounding character, using New York City as his playground and undeterred by obstacles like having to leap from building to building. And Mylene is full of spirit, unwilling to give in to her father’s efforts to quash her spirit by telling her that church music is all that there is. The two recognizable faces on this show are playing brothers, and that’s Giancarlo Esposito as Pastor Cruz and Jimmy Smits as Papa Fuerte, who really runs the show. I see the appeal of this show and its dazzling style reminiscent of “Moulin Rouge” and “The Great Gatsby.” I’m just not sure I could get into it on a regular basis, even to make it through six episodes. It’s more than a bit dense and distracted for my tastes. How will it work as a series? There is inarguably a lot of material to cover, and these characters are rich and full of life. There is a schizophrenic quality to this show, constantly changing tone and focus, which I think will help it address a lot of issues and build layered storylines, but as a viewer, I think it’s going to be hard to engage with that. How long will it last? 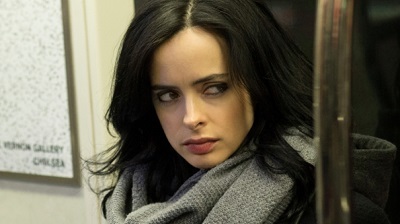 The show was commissioned for twelve episodes, six of which premiered on Netflix last Friday. Reviews have been mixed and I know that this show is absurdly expensive, so I wouldn’t count on much more of it than making a second season, if that.